Many people believe that scrubbing their face with an exfoliator comprising microbeads is the way to go. We all want to wash away the grime and dirt that finds its way onto our skin throughout the day. Nobody wants clogged pores. However, most of us do not realize that the tiny beads in whichever facial cleanser you are using are not as gentle as they claim to be. And if you have sensitive skin? Forget about it. You are most definitely irritating your precious epidermis by rubbing the microbeads into your face with the innocent intention of clearing away the day’s impurities. Dentists are noticing microbeads making an appearance under the gums and around the gumlines of their patients. Another place the little blue particles are showing up is in our earth’s water resources, which makes sense because after we brush our teeth we spit out the toothpaste down the drain. No harm in that, right? Wrong. Those teeny tiny beads are not biodegradable. After being washed down the drain, microbeads flow through sewer systems around the world before making their way into rivers and canals and straight into the seas and oceans. Sewage treatment facilities are not designed to filter these tiny microbeads from wastewater. Therefore, microbeads are present in the discharge leaving the treatment plant. Not cool. Microbeads are not capable of biodegrading because the primary ingredient is polyethylene (also known as good old plastic). They are also not water soluble. Tsk Tsk. Disposing of non-water soluble compounds into our sewer systems is not very eco-friendly. Polyethylene is the most commonly used plastic polymer (large molecule) in the world. Essentially, the microbeads embedded in your toothpaste are microplastics. How about them apples? If you are using toothpaste with microbeads, you are basically brushing your pearly whites with tiny plastic pieces or fibers. Granted, the beads measure less than 5 mm and the microbeads found in personal care products are almost always smaller than 1 mm. Back to what dentist and dental hygienists are seeing every day in the office. During a routine teeth cleaning, the channels (sulci) around the gums are inspected for diseases such as gingivitis. When you are brushing around hundreds of microscopic pieces of plastic into your gums that are less than a millimeter in size, it is inevitable that some will get trapped in the sulcus. Think about that for a minute. Do you really want a piece of plastic embedded under your gumline? Didn’t think so. What is even more disconcerting is knowing that we are inadvertently swallowing minute amounts of toothpaste practically every time we brush our teeth. That’s life, folks. 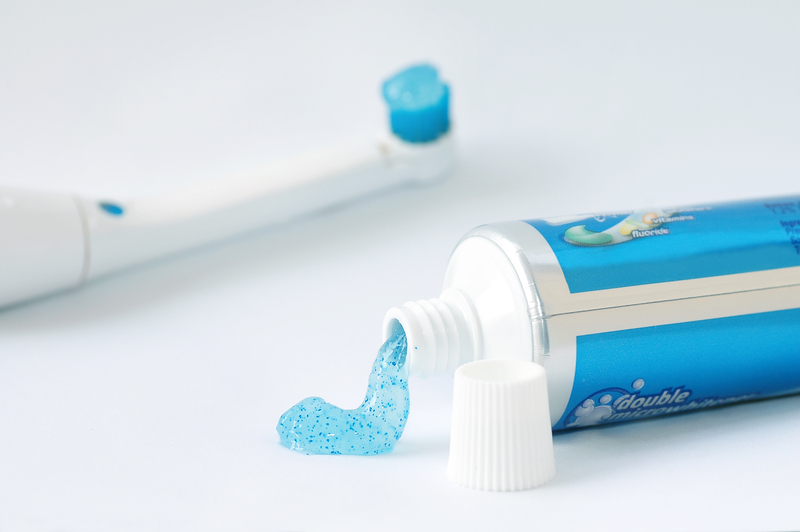 If you use toothpaste containing microbeads, you are most likely occasionally swallowing plastic. Gross. It’s like women consuming however many ounces of lipstick per year from simply wearing it. When eating and drinking with lipstick on, microscopic particles from the makeup product are going to end up being swallowed and digested. Lipstick wearers beware. This will happen whether you like it or not. Moral of the story? Next time you need to buy toothpaste, pay attention to what type you choose. Maybe stay away from those containing microbeads. Not only will you be keeping your gums healthy, but you will be helping to keep our water clean. It’s a win-win situation.